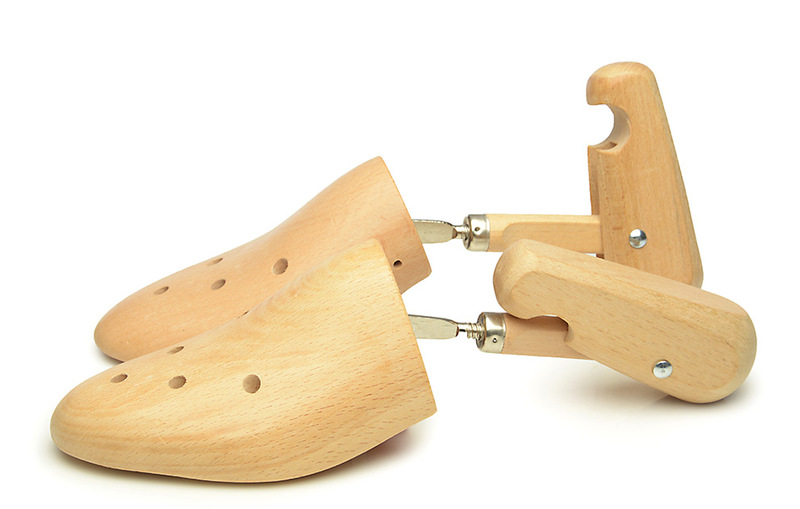 Using shoe trees should be mandatory—beech shoe trees are especially easy to use. They maintain shoe form, smooth wrinkles out of the upper, and support the shoe’s natural drying process. 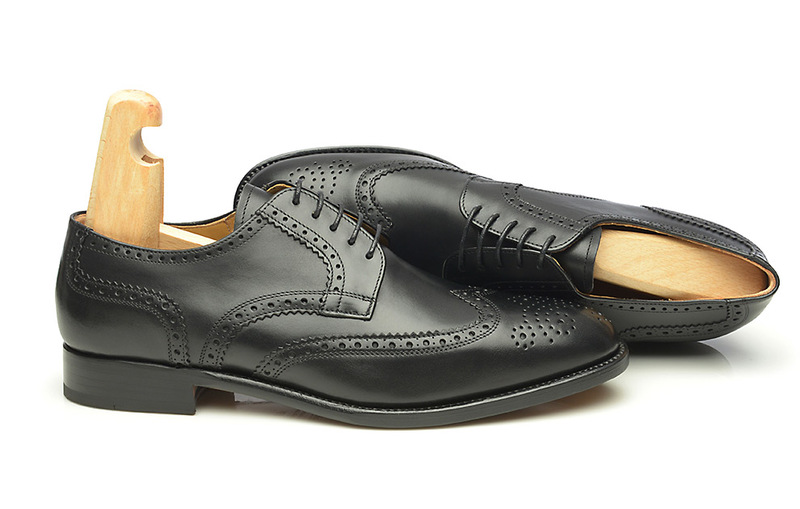 Without the use of shoe trees, shoes lose their gorgeous form over time. Because of this, using shoe trees should be mandatory for every shoe owner. They are available in many different shapes and models. Beech shoe trees with a folding handle, like these ones, are particularly popular. 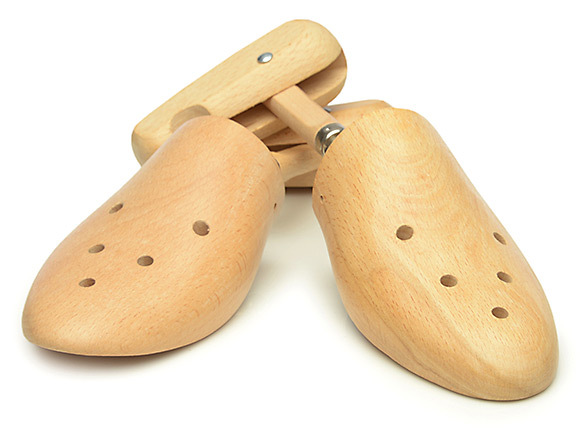 They are easy to use – once they have been adjusted to fit inside the shoe of your choice, the shoe trees can be used inside said shoe from there on out, without any further adjustments. These shoe trees maintain shoe form, smooth wrinkles out of the upper, and, thanks to their beech wood composition, support the shoe’s natural drying process. This beech shoe tree is constructed of three parts. The front piece is connected with the heel piece by a metal rod that can be adjusted in length and slope. The back end of the rod is encased in a wooden frame. Rotate this rod to adjust its length and optimize the distance between the front and heel pieces. Combined with the folding handle, which is attached slightly off-centre, you can vary the tension and length of the shoe tree. To use this beech shoe tree, start by inserting the front piece into the shoe—the heel part remains upright. Then, fold the handle towards the front piece to create tension inside the shoe. If this does not create enough tension, you need to adjust the shoe tree using the screw fitting. 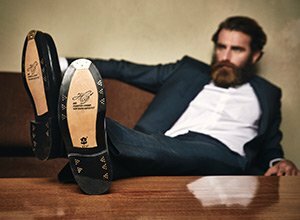 Once you have properly set up the shoe tree, you can use it in your shoes from there on out, without making any further adjustments. This beech shoe tree is made of untreated, environmentally friendly beech wood taken from timber thinnings. This kind of wood is excellent for this purpose, since the wood naturally supports the shoe’s drying process. Six holes on the front piece also speed up this process, and allow air to circulate freely inside the shoe. This beech shoe tree is available in the following sizes: 36-37, 38-39, 40-41, 42-43, 44-45, 46-48, and 49-50. Important: if you have purchased a shoe model made with a narrow ‘extravagant last’, please be careful when choosing your shoe tree—select a shoe tree that is one size smaller than you would normally use. This applies to the following shoe models: 337, 340, 341, 350, 351, 360, & 390.